This time last Friday I was relaxing with a very good friend of mine! We had enjoyed a day of cake, wine and meeting some other lovely Bloggers and the fantastic Butlin’s team at a Butlin’s Ambassadors meet up and filled our bellies with dinner. 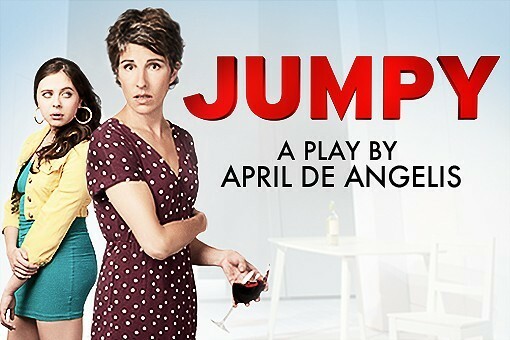 So off we went to the Duke of York’s theatre to watch Jumpy! Tamsin Greig (yep the lady off Green Wing, Black Books and Shaun of the Dead) takes the lead role of a fifty year old mum who is in a constant battle with her teenage daughter and life itself! We watched as the mum who once protested at Greenham now protested about her daughters choice of clothes and lifestyle. A great play for a girly night out, it provided lots of giggles and something to talk about on the way home! I was impressed that this whole play featured only 9 actors and they all brought something special to the Play and their characters! A frank and funny family drama! For information on tickets, please see the theatres website.